Are you looking for a way to get away from it all? Rent a boat from Abe’s and take a break from your land-locked life. 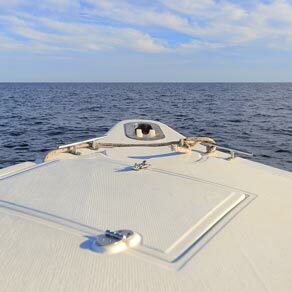 Our meticulously maintained pontoon boats are equipped with all the features and comforts to please the adventurous vacationer and the leisure-seeking local alike. 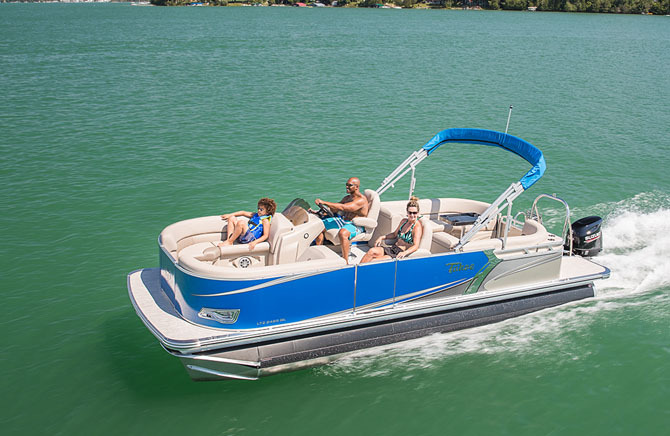 This particular model is more than a pontoon — it’s a tritoon, engineered with a performance-enhancing three-tube design. With a F150 Yamaha 4-stroke engine, GPS, charts and maps, and a roomy deck with seating for up to 12 — including four full length sun lounge benches — you’ll be sure to discover your slice of paradise on the Intracoastal Waterway. Navigate to isolated islands, explore pristine beaches away from the crowds, and encounter your fair share of Florida birds and sea creatures along the way. Once you’ve experienced life on the water, we’re sure you’ll be back for more! Reserve the 2485 Tahoe LTZ Quad Lounger Tritoon today – it’s the easy way to get away!